We believe that sustainability and social justice are evidently bound together. We achieve social justice through initiatives that address the issues underlying poverty and inequity. Many of our social justice initiatives and programs promote the use of alternative economics in achieving our mission, including the gift and sharing economies, reusing, repairing and upcycling. Why buy when you can borrow? So many of the products that individuals consume on a yearly basis are items which they rarely use and would be better off borrowing. Items such as tools, sporting equipment, books, DVDs, small kitchen appliances, luggage, camping equipment, toys, boardgames and some electronics are all items that are not used on a regular basis. These items are often too expensive to buy, but too impractical not to have access to. The Borrowing Centre provides a great alternative, thus helping to prevent unnecessary consumption and reduce landfill waste. 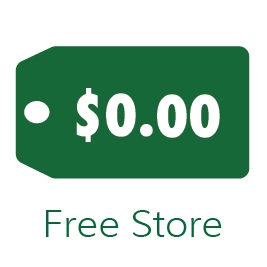 A Free Store is a space where clothing and common household items are offered for free. The aim is for individuals to reduce landfill waste by giving unused items away to those who need them. Free Store educates the public on re-directing items that would otherwise be considered waste for traditional and creative uses, giving them a second life. Regenesis, in partnership with other art and environmental organizations, is working to establish a community art space focusing on human rights, social justice and environmental-themed visual and performance art. By day, the space will serve as classroom and rehearsal space; by night, it will play host to art receptions and performances. The space will be made available to student clubs, college councils, faculties and departments within the University of Toronto and York University communities, and to environmental, social justice and human rights groups for meetings and events. The Affordable Housing Committee is a pan-university committee involving on-campus unions and community groups working together to create an affordable, sustainable and community-oriented residential housing co-op at York University.